Imagine a road trip with 7 children! Eating fast food and snacks along the way. Guess how that car would smell!! No need with Febreze Vent Car Clips from Walmart. I actually picked one of these up when we purchased our new to us car. It smelled of smoke from the previous owner and though they had tried to get it out, it hadn't done as great of a job as I would have liked. I looked in the car freshener section at Walmart and picked out a Febreze Vent Clip, knowing the reputation of Febreze. I use it my home, why not in the car? The Febreze Vent Car Clip lasts for 30 days and brings the freshness you love at home, to the motion of your car. With a larger car, we want the kids to have the freshness in the back as well. It is easy to just put a Vent Clip in their vent as well. I have three basketball players and let me tell you, when I pick them up from practice, whew!! I am so glad to have my FebrezeVent Car Clip, blowing in my face instead of the stench from unshowered basketball players! 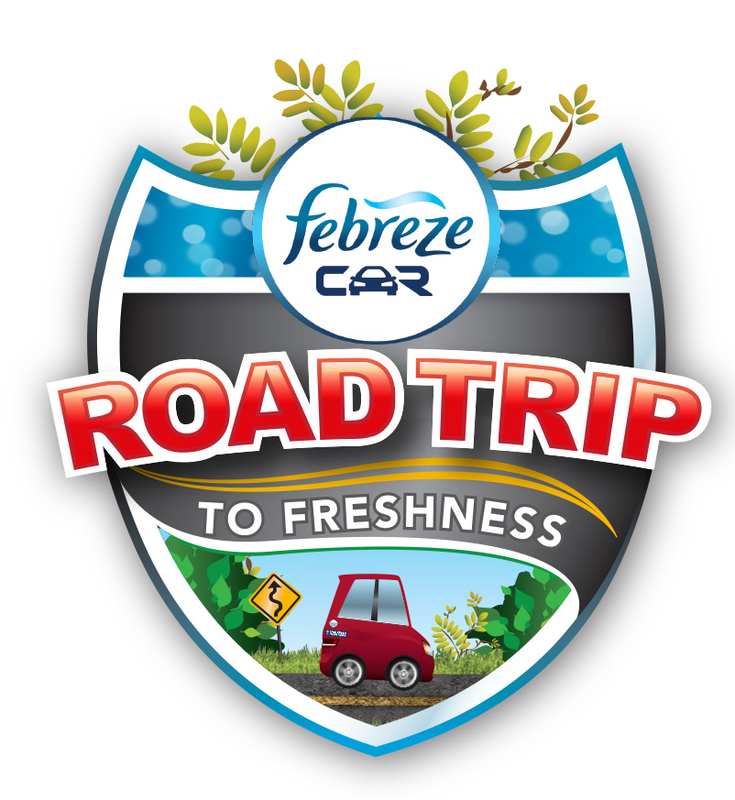 Our Febreze kit for review had a fun Road Trip game in it. The kids played and had fun learning about things that can stink up our car. My Febreze car is decked out with freshness stickers! My daughter snagged the car for her Barbie doll and is cruising with her Febreze family. This is a sponsored post for SheSpeaks/Febreze. I love to eat fast food while out and a bout, so I'd say I have some pretty smelly food odors lingering from food and food wrappers. The kids leave food and food wrappers in the car which leaves an unpleasant smell sometimes. I want to get rid of pet's odor in the car. I take my dog and my brother's dog to the park a lot in the Spring and Summer and I would like to get rid of dog odors! They are awful. I have never had any strong smells in my car. I don't enjoy road trips and try not to take them. I would like to get rid of pet smell (very big dog) in our car. I love long road trips. Our last one was to Niagara Falls. We'll have a brand new baby join us in just 6 weeks, so I'm sure at some point we might have some not-so-pleasant baby smells in our car! Sometimes my car smells like cigarettes. I don't really love road trips but the longest was driving to North Carolina to see my sorority sisters. In the summer the car smells like wet towels from the pool and it can get pretty gross if we leave the towels in the trunk. The window was down during a rain storm and alot of water got in. It still smells musty. Sometimes my car smells like my dog. My husband eat in his car but does not clean the crumbs often, so it kinda gets smelly. My longest road trip was from Miami to Canada! My dog rides with me a lot of the time - she stinks sometimes. I love road trips I just love going up 101.